Visitor management is the process of tracking everyone who enters your building or your office. A visitor may be a customer, a delivery person, a job applicant, a contractor, a consultant, or the CEO’s third cousin twice removed. Essentially, anyone who is not a regular full-time employee is a visitor. A visitor management system is a technology used to track visitors in a formal way. 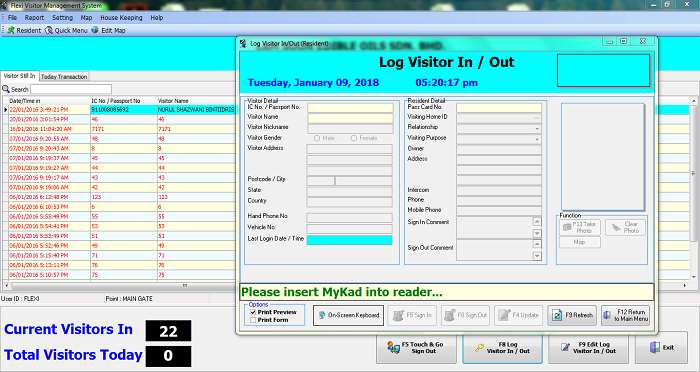 The old fashioned version of a visitor management system is the sign-in sheet — a piece of paper usually kept on a clipboard or in a binder at the front desk. At some point, that sign-in sheet gets filed away, or shredded, and a new sheet appears on the clipboard to record the next 10 or so visitors. It’s not a particularly good visitor management system (and certainly not environmentally friendly). But it does work. And as long as you’re happy to pay someone to sit at the front desk all day (Extra labour cost), just in case a visitor or delivery may arrive. 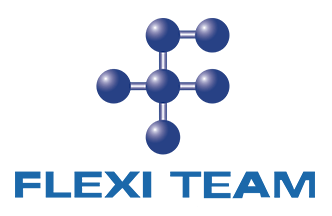 iFlexi Visitor Management System (VMS) helps you to ease those problem above, it also come with easily screen and track visitors to their building. VMS enables better management of building security and improved services with more efficient visitor processing. Minimize typing error & human Mistake.